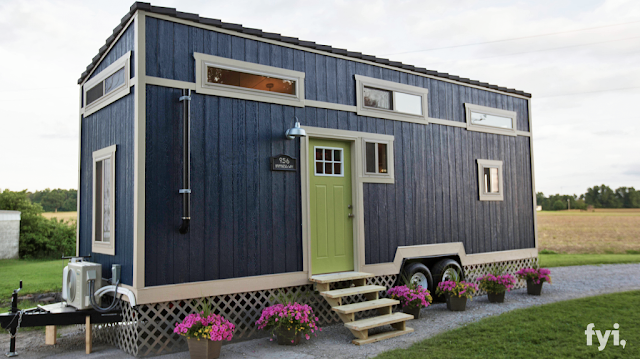 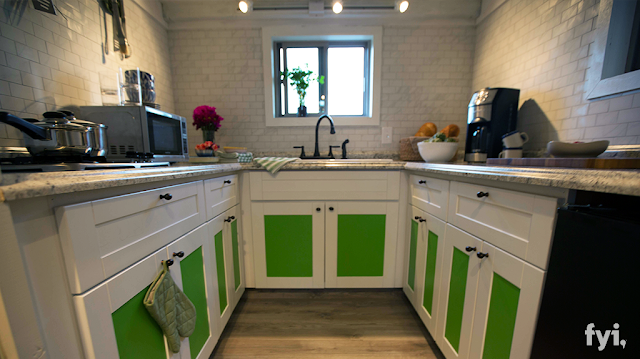 This cute 319 sq ft tiny house is currently available for sale in Bay City, Wisconsin. 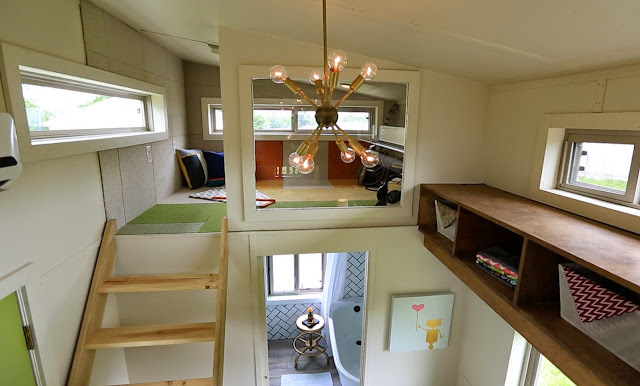 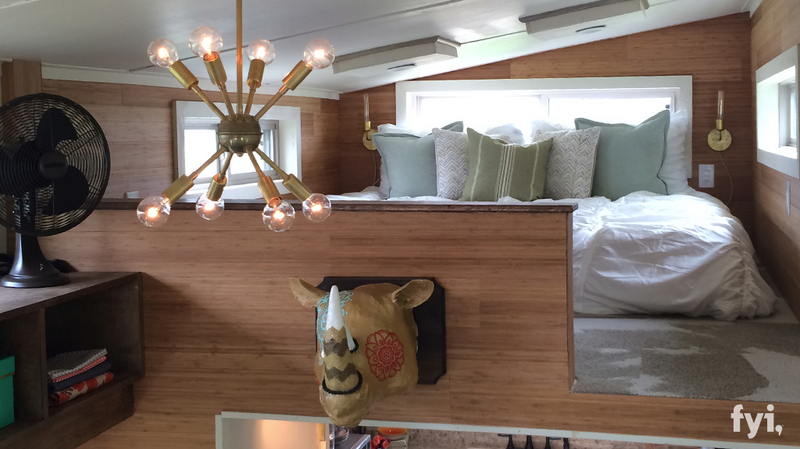 Called the "Bohemian Escape", it was originally built and featured on the show, Tiny House Nation. 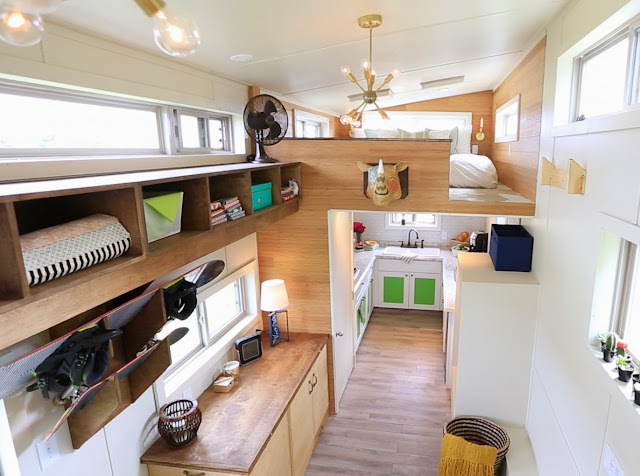 It was designed for a travelling nurse and a music producer who wanted something mobile so they could travel for work. 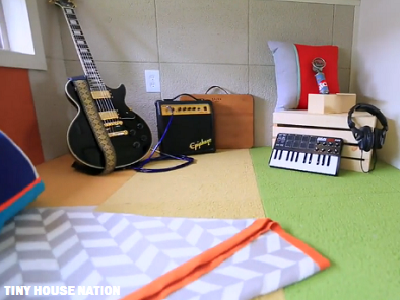 The home features a recording studio in one of the home's lofts, as well as a quilting station. There's also a kitchen, living room area, full bathroom, and a loft bedroom. The home is currently available for sale from its second owner and listed at $49,000.